The Puretec Puremix X7 Replacement Cartridge is made for the Puremix X7 High Flow Undersink Water Filter System. Simply twist your current cartridge off the filter head and twist on your replacement cartridge until firmly sealed. After installing cartridge, flush for 5 - 10 minutes and your new cartridge is ready to use! The Puretec Puremix X7 Replacement Cartridge is designed to be replaced every 18 months for an average family of 4 people. This way, you are guaranteed that your water will be filtered down to the finest 0.5 microns to get rid of all the sediment, dirt, rust and other particles. Taste, odour, chlorine and other chemicals including Giardia and Cryptosporidium cysts are absorbed by the carbon block technology to leave you with the finest fresh drinking water. The Puremix X7 uses the latest technology Quad Action (4 Stage) in filtration. The PureMix X7 system is designed specifically for applications with higher sediment and harsher water quality such as rural supplies, areas with older pipe infrastructure and rainwater. 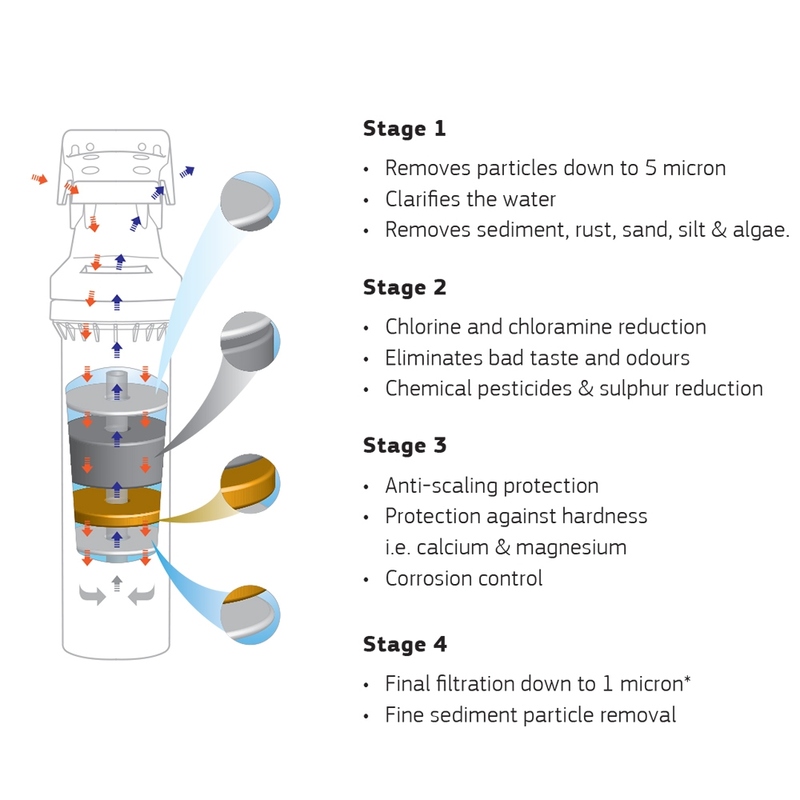 With 4 levels of filtration and a radial flow design, the Puremix X7 filters your water of sediment, lead, rust and dirt down to 1 micron! Taste, odour, chlorine and other chemicals are absorbed by the carbon block technology leaving, healthy, great tasting, clean, safe and pure water as possible.